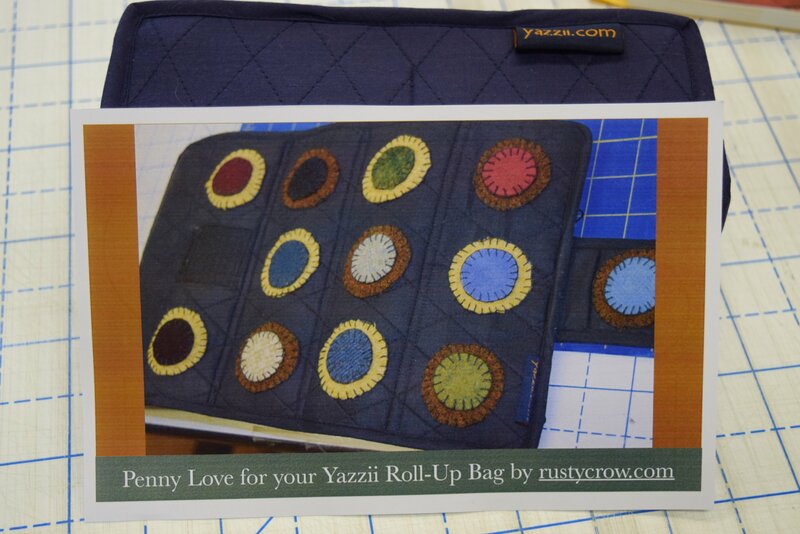 This is a Penny Wool kit for the Small Roll-UP bag Yazzii and Rusty Crow. The wool have been felted and ready to stitch as soon as you cut out the circles. The colors are similar to the photo. Pearl Cotton thread not included.